Having refreshed himself bathing in the cool, running waters of the nearby stream, Nanunja returned to find the busy-ness of morning tasks under way. The campfire was burning cheerfully as several of the elders squatted around it baking the rounds of flat bread that constituted a communal breakfast. It smelled homely and welcoming. Nanunja was grounded by the comforting familiarity. Smiling broadly, he joined the others around the campfire and helped finish preparing breakfast. Soon everyone was up. Breakfast was a cheerful, noisy affair. Somehow it seemed even more vibrant to Nanunja this morning. He relished the atmosphere soaking it in to his very core with each breath he took. Essential housekeeping completed, Nanunja caught the attention of the Shaman, signalling that he wished to meet with him. The Shaman nodded, then looked in the direction of his hut. Nanunja knew it meant he was to make his way there. This form of silent communication had evolved over time between the two of them. They had a close and easy friendship formed when Nanunja was but a young toddler learning to balance on his own two legs. He remembered many fun, playful times with this gentle sage who had taught him much over the years about life, Mother Nature’s ways and the Spirit world. First, however, he spent a few moments in conversation with each member of his family. This too was another morning tradition he had started with his first born son, Nanja. Each of his three children waited their turn eagerly. Oldest to youngest, he tailored the cherished moments according to the child’s age and interests. His wife stood by watching, a tender smile on her lips and a shine in her eyes. Last in line, she too had a moment to share before it was time to start the daily chores. Having thus greeted his family, Nanunja made his way to the Shaman’s hut. Arriving at the entrance to the conical hut he paused to admire the craftsmanship it had taken to build it. Made of supple young sapling trees moulded into shape and gaps filled with a mix of straw and mud, it was strong, weatherproof and unique. He still loved to hear the tale of how it came to be. Many, many seasons ago, when the Shaman was a young man and new to his position in the tribe, visitors from far away had come to live with the tribe for a season to exchange learnings of new ways. Exchanges of this kind were rare. Visits were negotiated between Chieftains over a long period of time. Careful consideration and discussion took into account what each tribe had to offer the other, and the terms and conditions of exchange. In the history of the Wai’ a’ atika it had only been known to happen three times. Now they did not occur at all. It was at the time of the last Great Exchange that the Shaman’s hut had been built. The conditions agreed to only allowed the building of this one hut. However, the techniques learnt could be adapted to create other useful items such as sturdy baskets and other large storage containers. Too heavy to move, they were seen beside each home cave and in the central gathering area. Many used them to store kindling and firewood. Never once had it occurred to anyone to flout the agreement by building another hut. It simply was not in the nature of the tribespeople to be so disrespectful. Nanunja coughed softly three times. It was his arrival signal. In response, the Shaman always used bird calls. Each time it was different. His job was to identify the bird and tell the Shaman what it was. This morning the call sounded like a tinkle of bells. How beautiful, he thought. Never having heard a sound like it in the woods, Nanunja could not even begin to guess what kind of bird could sing like that. The game had risen to a whole new level. Unsure what to do next, he coughed again. This time he heard a throaty chuckle. Nanunja smiled and entered the hut to find the Shaman seated cross-legged on his ceremonial woven mat. It was right in the middle of the hut. All this too was different to the norm. He had a broad grin on his face. In his hand he held a set of tiny silver bells which he tinkled. So, not a bird at all, thought Nanunja. Curious, he seated himself opposite his mentor and friend and waited in silence. 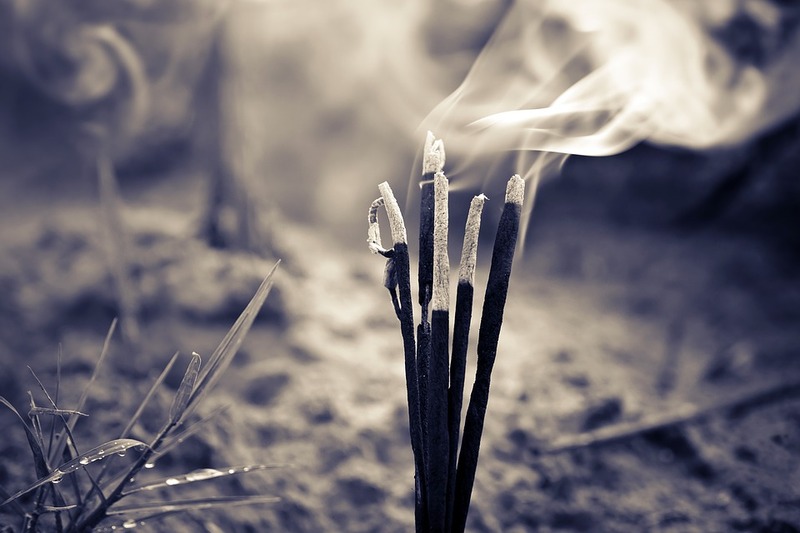 After what seemed an eternity, the Shaman started to chant as he lit several sticks of a sweet smelling incense. Nanunja recognised the scent and knew this fragrance was only used at times of sacred ceremony and ritual. A blend of herbs and the oily lifeblood of rare plants, the incense was handmade by the Shaman using a secret ancient formula he was taught by his predecessor. This word of mouth teaching and tradition went back as far as the first memories of the Wai’a’atika. Clearly this was not to be a normal meeting at all. Ever since I was a child I have loved Native American lore. This is very interesting. I think what I like most about this story is the details. I feel as if I’m a cameraman following Nanunja around for an article for Nat Geo or something. You’re very meticulous. Another great installment of this story!